Check out this 52 image deck of playing cards from the 1971 Stanley Kubrick film, A Clockwork Orange. This great looking deck features imagery from the movie. 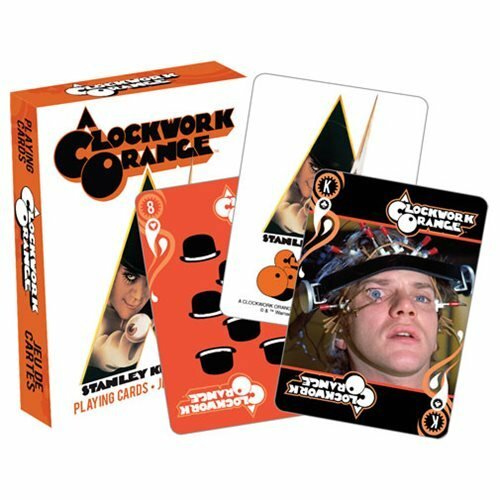 The A Clockwork Orange Playing Cards measures approximately 2 1/2-inches x 3 1/2-inches and the cards have a linen type finish on them. Ages 17 and up.